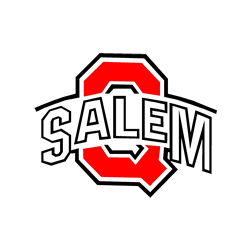 Salem Girls’ Track and Field were 2nd place in the Bulldog Invitational against 15 teams on Saturday. First place finishes by the 4×200 relay of Elizabeth Aukerman, Marissa Swindell, Katelin Chilton and Julia Dundon, the 200 with Marrissa Swindell, the 800 with Anna Shivers, the 300 hurdles with Elizabeth Aukerman and the discus with Alyssa Wright. Second place finishes in the 4×800 relay of Anna Shivers, Sydney Green, Corrine Erskine and Mary Double, the 4×400 relay of Marissa Swindell, Julia Dundon, Elizabeth Aukerman and Anna Shivers, and the shot with Helene Shontz. Third place finishes by Alyssa Wright in the shot and the 4×100 relay of Kati Johnson, Mackenzie Perkins, Katelin Chilton and Elizabeth Aukerman.